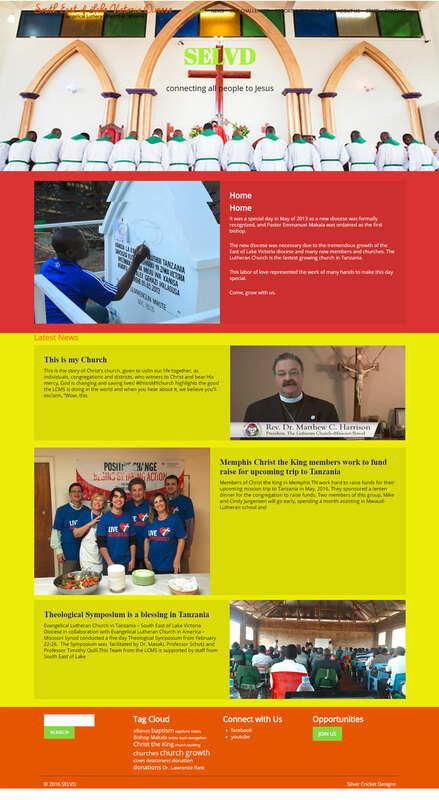 South East of Lake Victoria Diocese needed a new website that would feature a blog section, be easily maintained and was to be colorful and reflect the African culture. The website was to be created and maintained by the USA contact and would educate, raise awareness, and show the progress of SELVD in Tanzania. When we needed a website and did not know how to begin, Rhonda Schultz helped me clarify what I wanted, and went to work to create the right design. She had great ideas and set up a website that was attractive as well as manageable for me. She captured the image I wanted to create, and gave me tips on improving readership. She is always available to answer questions and made the whole process fun and exciting. I was very excited to have the SELVD website go live.